Your teeth make a lasting first impression, so keeping your smile looking bright and clean is essential. The best way to keep your teeth in healthy condition and looking pearly white is to arrange regular visits to the dental hygienist. During a dental hygienist visit, your hygiene therapist will use special tools to scale and polish your teeth. This is an effective way to lift surface stains and ensure your teeth look bright and sparkly. Our dedicated team of dental hygienists and therapists can give you advice on gum health, home care and can show you how to take special care of your teeth. They will also provide thorough teeth cleaning so you can feel confident in your smile. Victoria Middleton and Sarah Towns make their patients feel at ease every step of the way, which is ideal if you are a nervous patient. Do I need to be a patient at the practice to visit your dental hygienists? 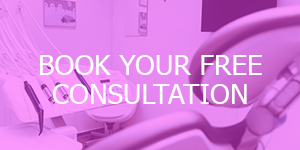 We accept patients who are registered with any dental practice, so if your dentist doesn’t offer teeth cleaning services, or if you are struggling to get an appointment, you can visit our practice. Our teeth cleaning experts can also perform tooth whitening, take x-rays and impressions, conduct routine fillings on children and adults, carry out children’s extractions and fit emergency temporary crowns and fillings. 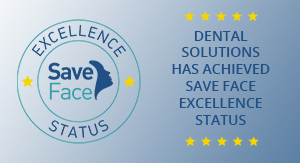 We recommend that all our patients visit one of our Hygiene team at least every 6 months to help maintain a healthy mouth, however many patients prefer to visit us every three months or just before a special occasion. Some patients like to have their teeth cleaning before big procedures such as a dental implant placement. Orthodontic patients might like to conclude their treatment with a trip to the dental hygienist to clean their teeth after having their braces removed. Which dental hygienist treatments are available? 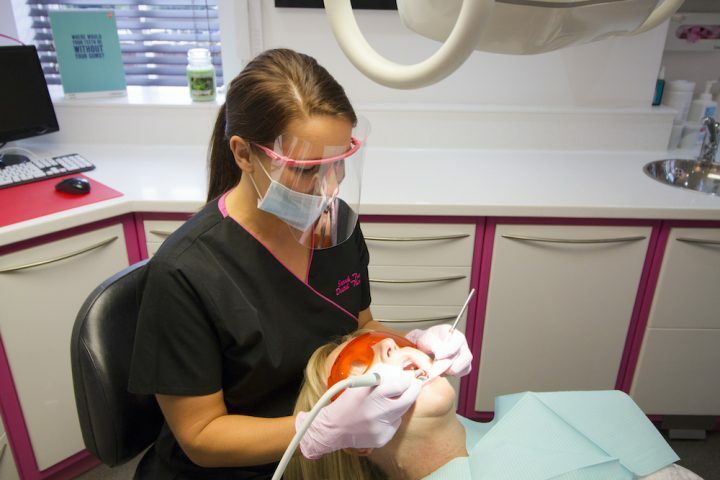 The scale and polish is the foundation of the dental hygienist’s work, but we also offer a menu of specialised hygienist treatments. Worried about stained teeth? 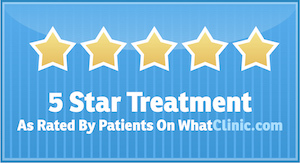 Our new Airflow teeth cleaning system will deliver spectacular results. Airflow is a new teeth cleaning treatment that provides incredible results without your dental hygienist touching your teeth at all. 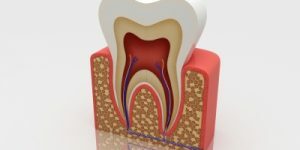 This is great news for nervous patients, as this is an effective way to keep on top of your oral hygiene while getting used to visiting the dentist on a regular basis. Airflow works through the combined power of three components: air, sodium bicarbonate and water. The three things are combined in a high-powered yet which gently but effectively removed stains from your teeth, including in hard to reach areas. The Airflow Teeth Cleaning system provides incredible results without any risk of damaging your teeth. The results are immediate and see the difference as soon as the Airflow dental treatment has been completed. Tea and coffee drinkers will know the effects that their choice of beverage has on their smile. Teeth that used to be white end up looking brown. 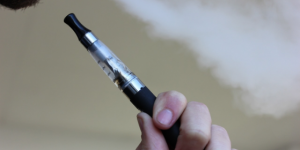 Smoking and eating certain foods can also have a damaging effect on your smile. For these stubborn surface stains that normal cleaning alone can’t fix, the Airflow teeth cleaning system can help to restore your teeth to their natural colour. And the best part is that it is completely pain-free! Please get in touch to book an appointment, we look forward to your call. 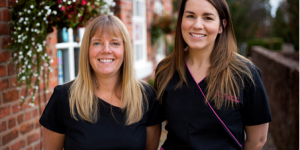 Our dental hygienist Vicky Middleton and Dental Therapist Sarah Towns are both trained to perform tooth whitening treatments such as Zoom! here at the practice, following an initial prescription from one of our dentist team. It is vital to ensure great oral hygiene prior to braces, maintain hygiene during treatment and once your brace is removed, banish any trace of your brace and reveal your fabulous new smile. A post-orthodontic dental hygienist treatment will not only give you confidence, but you will also learn about how to take care of your teeth to keep them looking perfect. It is important to make sure your gums are in good shape before going into a dental implant procedure, so a visit to the dental hygienist is always a good idea. After treatment, it’s also a good idea to make regular visits to your dental hygienist in order to learn more about after-care. If you have a special occasion just around the corner and want to look your best, we provide pre-party or pre-wedding boosts to ensure you can smile with confidence. If you have light surface staining but aren’t ready for tooth whitening, a quick teeth cleaning can help to restore your teeth to their natural colour. 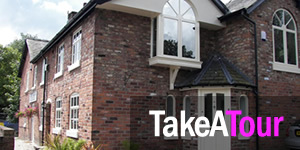 Short on time but need quick results? In just 20 minutes we can make your teeth feel and look noticeably cleaner. 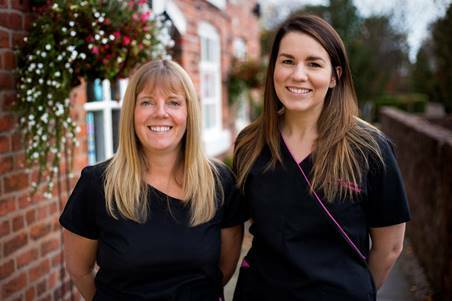 Please call our reception team on 01925 756565 to book your appointment with one of our hygienist team members.